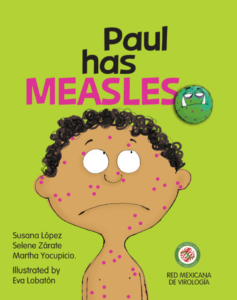 Susana López, Martha Yocupicio, Selene Zárate, virologists from Mexico, together with graphic illustrator Eva Lobatón, have teamed up to produce Paul Has Measles, a children’s book about viruses and vaccines. 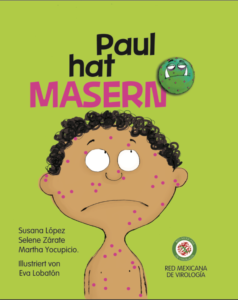 Paul Has Measles (pdf) is available in English (download link) Spanish (download link) French (download link) German (download link) and Portuguese (download link). 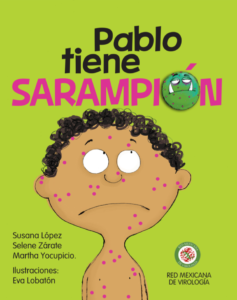 The Spanish version is also available as a video (YouTube link). 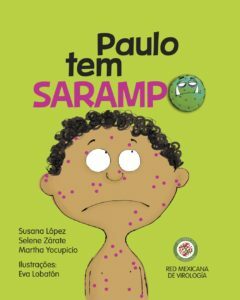 Thank you for sharing the beautifully written and illustrated educational children’s book. I will definitely share! Mexican colleagues have done an excellent book. Thanks for sharing. I have already shered it amongst the members of the Croatian Microbiological Society involved in the service learning project “In the company of microbes” ( http://hmd-cms.hr/u-drustvu-mikroba/en/home/ ).